Buildings 21 and 23 Demolition - J.H. 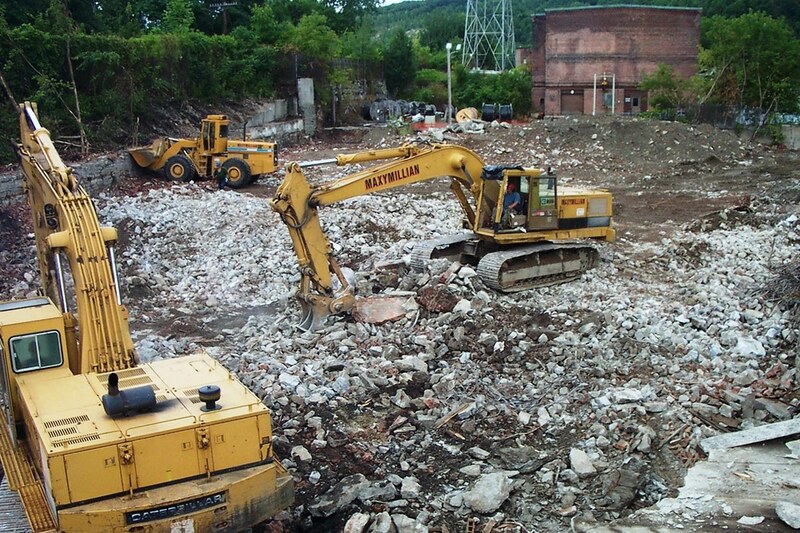 Maxymillian, Inc.
Maxymillian demolished two brick, wood, and concrete buildings totaling over 60,000 SF in the heart of downtown North Adams, MA. Prior to demolition Maxymillian removed asbestos and hazardous materials. 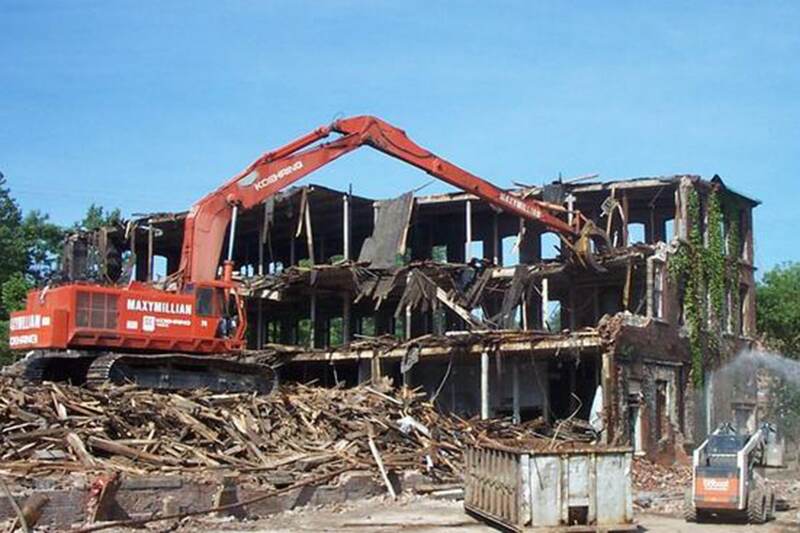 The close proximity to adjacent buildings, as well as an existing liner and cap structure within the building foundation, required strategic demolition operations to keep the liner and neighboring buildings intact. Maxymillian carefully sorted and stockpiled the demo material according to waste stream. 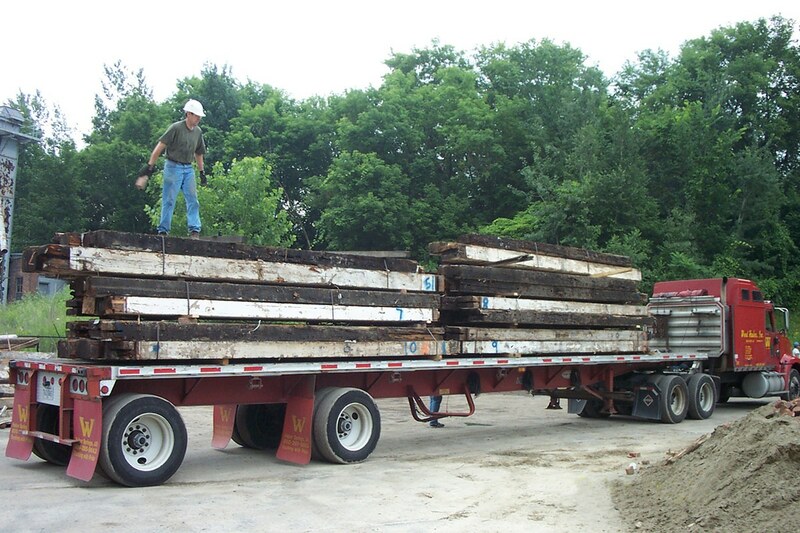 Brick and concrete remained on-site and were crushed for reuse as backfill in the cellar void, while wood was sized for off-site disposal at a steam generation plant. Project site restoration activities included survey, regrading for drainage and the installation of a 60 mil HDPE liner. Maxymillian also provided tie-in to the existing HDPE liner and black-top and installed specialized HDPE boots over former support legs as part of the containment.